Today is my lazy day of the week, so needless to say I haven’t done much, but it’s only 11:30. I have high hopes for the rest of the day, including pinning too many recipes, making a lazy lunch (and probably dinner), and maybe, just maayybeee hitting up the grocery store. While yesterday’s eats were all paleo, I’m not too sure I had the best balance of nutrients. Oh well, after a stressful week I ate what I wanted, within paleo guidelines of course. Breakfast: a banana w/ raw almond butter and some coffee. It was an early morning. Mid-Morning Snack: a turkey burger patty w/ about 1/3 cup leftover salad veggies from the night before. Lunch: two paleo biscuits topped with avocado and two fried eggs. Sooo good, these biscuits hit the spot yet again. 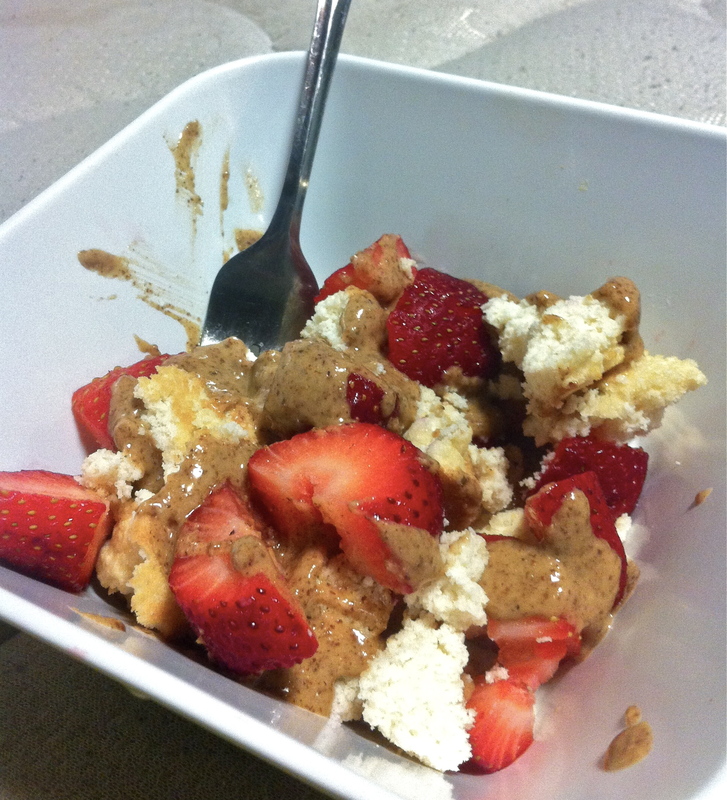 Dinner: strawberry “shortcake”, which was a paleo biscuit topped with strawberries and maple almond butter (ok, not 100% paleo). Because I had a meeting at 6, yoga at 7, and Cj’s basketball game at 8:15 my dinner schedule was kind of whack. When i got home and finally had access to food all I wanted was strawberries. Well, wish me luck on my day of doing nothing!